Solo Water, and predecessor entities, has worked on projects over the years for residential estates , businesses and organisations. Our expertise and in depth knowledge of the technologies we offer has allowed us to scale our service accordingly to suit projects of varying size. Regardless of whether you require one of our innovative water recycling systems for the upgrade of an existing system, industrial area or an entirely new residential estate, we have the expertise to offer a high-quality solution. 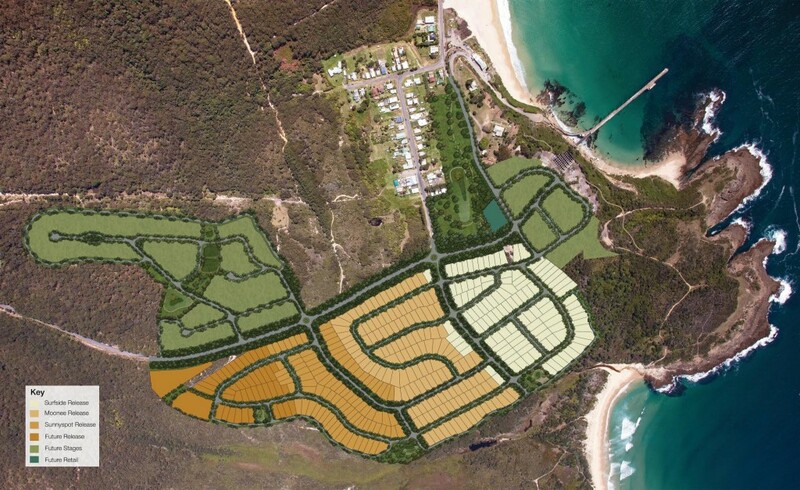 Solo Water is proud to be the local water service provider for The Beaches development by Rose Group in the historical town of Catherine Hill Bay. A flagship development that will utilise the sustainable solution of Solo Water's advance water treatment process. As this particular development is positioned in a rather unique location, nestled between two ocean beaches amongst a vibrant forest area, typical water utilities were not able to service this region. This is where Solo Water was able to offer a practical resolution. We devised a comprehensive system for the entire village development, providing the residents with all essential water services. Rose Group have been involved in numerous first class developments and have been a leader in sustainability, incorporating eco-friendly principles in most of their developments. We are proud to work closely with them and allow them to offer their clients the ability to contribute towards a healthier planet. Australians access viable water resources, contact us today on 1300 7656 98.